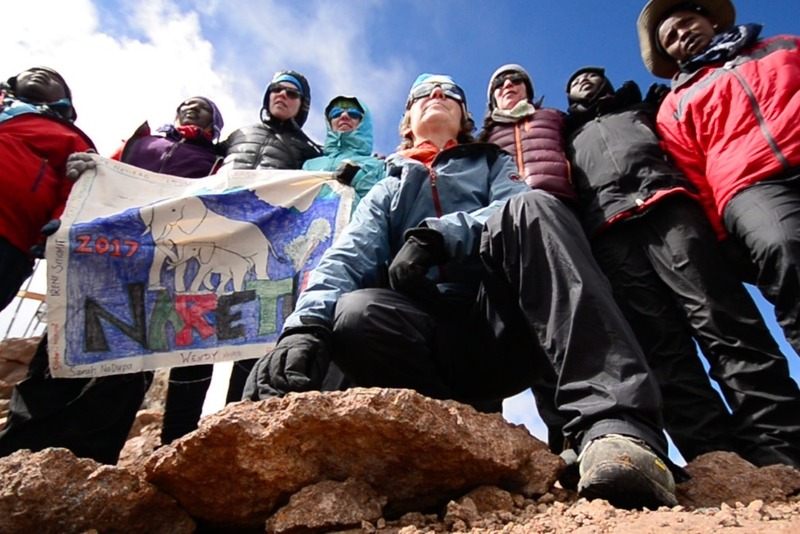 Naretoi, focuses on a cross cultural women’s empowerment climbing project taking place in Kenya. expedition to the summit of Mt. Kenya, 16,355 ft.
male involvement. Every element of climbing the mountain is completely foreign to Maasai women. From putting on pants, boots, being in a climate below 65 degrees for the first time, let alone the challenges that go along with a summiting a high altitude mountain that are difficult for even the women who professionally work in the outdoors. The Mt. 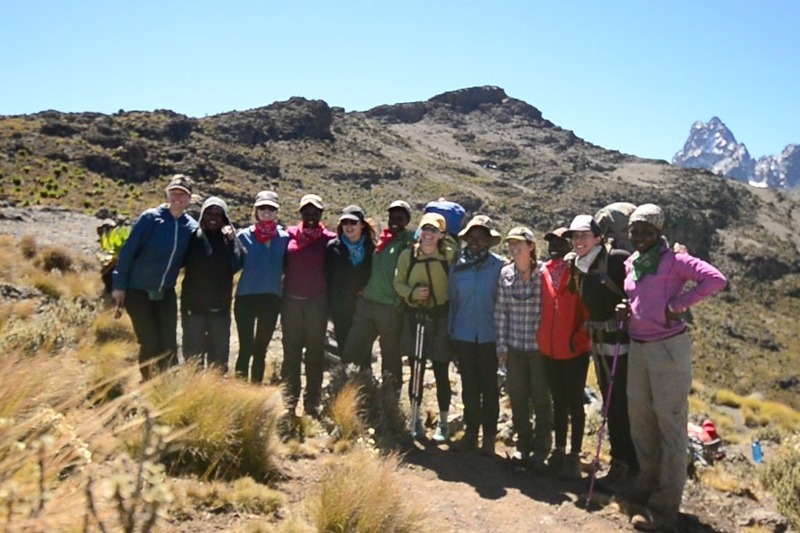 Kenya empowerment expedition is unique in how the women overcome cultural and language barriers to collectively conquer a large mountain. The mountain symbolizes the challenges that we all face as women fighting an uphill battle to gain equality in our lives. This experience is an opportunity to empower each other and focus on self introspection and discovery. So far, our small team has paid all our own expenses out of pocket and donated our equipment and time to produce this film. We have not received any outside funding or support. We care so much about the project and about these incredible women that we want to do everything we can to see it through and share it out with the world, but all of the costs add up (especially the travel and camera equipment expenses)! We want to be able to keep telling stories like this and grow our team and skills by ensuring that this project is a sustainable endeavor. In order to achieve our goal and vision, we are all having to work full time positions in the industry and dedicate our free or spare small amount of time and resources all towards the film. This means the process is taking a very long time and this story’s relevance is of a timely nature. We also really want the film to be of the highest quality as we plan to submit it to festivals and get this story heard, which requires a high level of producing! Please help us see this film to completion, we are so close and need an extra financial push to make it to the finish line. If received, we plan to allocate the funds towards the post-production process as we need specific roles filled - to keep the momentum with editing, motion graphics, audio design, and coloring. We also could really use financial support with marketing and film festival entry fees. Thank you!